You are cordially invited to worship with us as we roll out the Red Carpet for you. We are a welcoming community of believers who try our best to experience life with God on a whole new spiritual level. If you are visiting or have relocated to the central Texas area, we invite you to worship with us. Our committed Ministry team will welcome you with love and warmth. We are a teaching ministry whose goal is to share the timeless truths of scripture and to provide and atmosphere where people can have an encounter with God. The end state is for members to have a deep, close, and intimate walk with Jesus Christ. 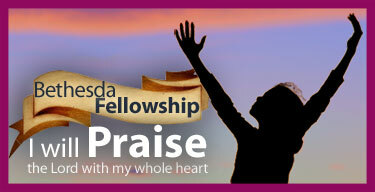 Bethesda is committed to helping you reach your full potential and helping you to discover your divine assignment. Bishop R. Ray Gatewood is totally committed to assiting you in gaining a better understanding of God's Word each Wednesday night during our bible study. As you browse this site, we would love for you to take a closer look at our mission and core values. We are certain that they will mirror your own. God bless you and we hope to see you in worship! Tune in every Sunday for our live broadcast! Interested in teaching Youth Sunday School? Please contact our Youth Pastors. Thank you for supporting of our Food Drive. Your gifts help us be a blessing to others. We deliver items to the homeless shelter on the 3rd Thursday of every month. P3T (Prayer, Praise, Preaching and Testimony) is on the 3rd Wednesday of every month during regular Bible Study. Baptisms services are on the 2nd and 4th Sundays of every month. See the church secretary to schedule counseling. Join us in prayer on Mon., Wed., or Fri. at 12:00 PM. We welcome your presence. Bethesda Theological Institute and Seminary: Classes are held every Tuesday at 6 PM. Contact the office at 254-547-3455 for more information. If you have a Facebook account, add Bethesda to your friends list! Welcome to all of our guests! Thank you for coming and we pray that you will come again! 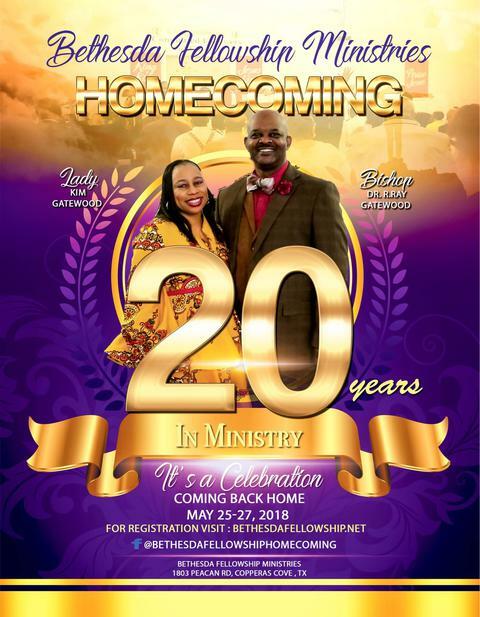 Pastor and Wife Appreciation Weekend is the 4th Weekend in September. Ask the church secretary for details. We are delighted that you have decided to visit our site. We are a teaching ministry with the theme of "COMMITTMENT". Our goal is that every believer will become a committed follower of Christ. Whether you are seeking Christ, a church home, visiting in the area, or just simply desire a change, we invite you to join us.